Samurai Jack the Complete Collection DVD Review It’s a real treat for fans of the series, like me, and shows that Cartoon Network still has a lot of love for old Jack. Samurai Jack was one of the Cartoon Network classics of the early 21st century that came and went but will always remain a cult classic with its fans. 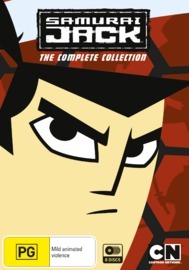 The story of Jack, a young man from Japan who seeks to destroy a demon named Aku by travelling through time is now available in a terrific box set, which contains all 52 episodes of this great series. 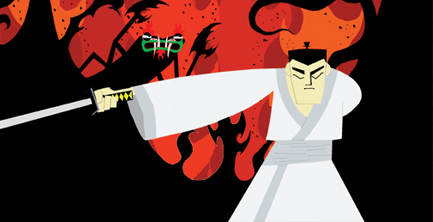 The style of Samurai Jack is what I and many others love the most about the series. Creator and head animator Genndy Tartakovsky (known also for Powerpuff Girls) has been able to create a show with a fantastic minimalistic look about it that also succeeds in creating some true emotion and extremely likeable characters. In many situations there is no dialogue at all, leaving viewers with extended periods averaging around 5 minutes of animation, which is handled so carefully and full of life that there is no need for voices. When there is dialogue however it scores high across the board, with each actor giving their characters plenty of life and personality. As well as the complete series, the box set for Samurai Jack comes with some very, very special features. There’s a making of feature (which is hard to find in retail releases of old cartoons), tonnes of original artwork and storyboards, as well as some original animation tests for the pilot and other episodes in the series. It’s a real treat for fans of the series, like me, and shows that Cartoon Network still has a lot of love for old Jack. The only negative that I have about Samurai Jack is that it leaves us with an unresolved ending. 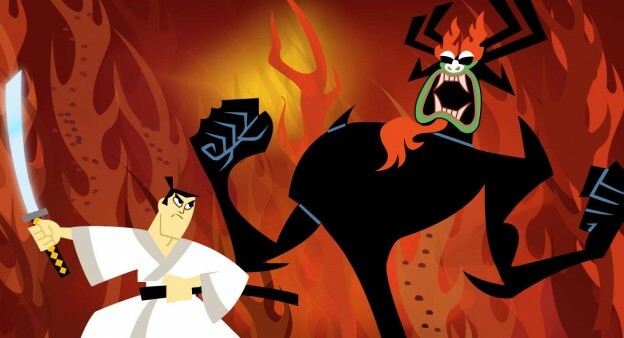 The series was cancelled after the fourth season, so unfortunately fans will never know if Jack eventually defeats Aku or not. While it is a great shame this occurred, what we’re left with is still a fantastic cartoon series, packed with enough nostalgia and extra features that you forget about the non-existent ending and get absorbed by the classic story and characters one more time.